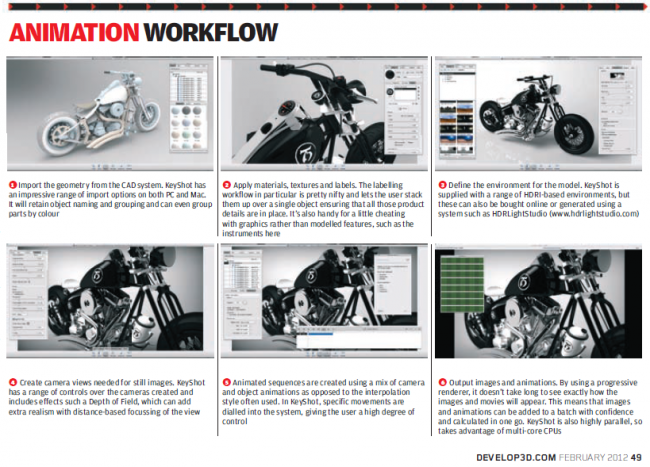 You can snag the February 2012 issue of Develop3D for free. Al Dean puts the new KeyShot 3 UI, materials and import options through the paces with some very fine models and, may I say, the best looking pink environment I've ever seen ever. He also gets into the new animation system, hammering out exactly what differentiates KeyShot animation from the rest. It's a must see, and there's even a 6 step animation workflow included showing the ease of bringing a bit of action to your 3D model. 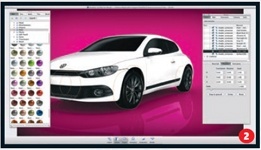 Download the issue at Develop3D.com.